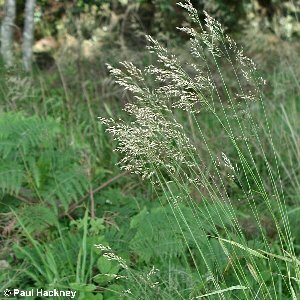 This fescue is a tall graceful perennial species of glens and shady places, and is rather local in its distribution in Northern Ireland. 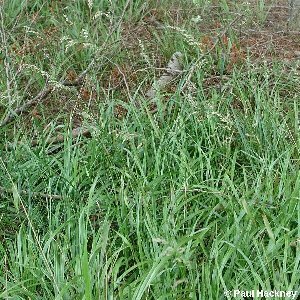 The flower spikelets are pale-coloured and carried in rather loose open panicles, the whole plant reaching about three feet in height. The leaves are wide and flat. All names: Festuca altissima All.